SGY Chartered Accountants’ Transaction Advisory helps growing companies come together to work as one. Whether you are selling, buying, providing capital or restructuring, our speed, agility and industry expertise will help you with the evaluation, deal strategy, accounts setup and improving performance. Our strategies are uniquely drawn for divestiture and integration, providing a holistic approach throughout a transaction. We formulate strategies and mitigate risks to get greater values from your transaction. We work with buyers, lenders and sellers across the full spectrum, promoting regular and smooth dialogues during every stage of a transaction cycle. We listen and understand your needs and tailor possible solutions to your specific circumstances. Our network of experts are ready on the ground to execute your transaction. We at SGYCA assist and guide you through the various levels of rigorous corporate finance, business restructuring, business valuations and corporate finance services according to the nature of your business operations. By hiring us, you get a fully professional financial team taking care of your system and all the statutory compliances on a timely basis. 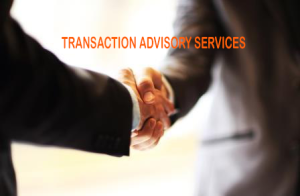 Our transaction advisory services helps make business transaction smoother and confusion free for you. Over the years, auditing and accounting has moved a long way forward that makes money handling easy and effective. Our team can play a significant and critical role in running your monetary affairs problem free. Call us now to get started in tracking cash flows!